BRANDON SANDERSON grew up in Lincoln, Nebraska. He lives in Utah and teaches creative writing at Brigham Young University. After Robert Jordan’s death, he completed the final three volumes in Jordan’s bestselling The Wheel of Time® series with the long-awaited A Memory of Light. 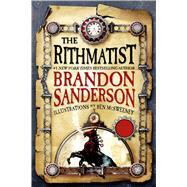 Visit him at www.brandonsanderson.com.